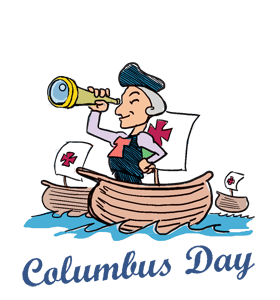 Columbus Day was commemorated on Monday. The US federal holiday should have been abandoned long ago. It never should have been established in the first place. The arrival of Columbus in what’s now the Bahamas and Hispaniola was followed by the mass slaughter of around 100 million native people – the most horrific genocide in human history, continuing for 500 years, before and after what’s now America became a nation. Columbus sought gold, other riches and slaves for Spain. A second voyage followed the first. Native people were slaughtered throughout the Caribbean. No gold was found, just hundreds of human beings taken captive, those surviving the journey to Spain sold like sheep or goats, treated like vermin. Arawak people in the Caribbean deserved better. They were friendly and receptive to new arrivals, greeting them with gifts, food and water, making them feel welcome, much like Native Americans, leaving them vulnerable to the viciousness of conquerors – their first exposure to the scourge of Western civilization. Swords and daggers later were guns, cannons and other weapons against their peaceful way of life, crude weapons used for hunting, not warfare. Beginning over 500 years ago, horrors never stopped. A serial killer became an American hero. There was none. He hadn’t reached Asia, as he claimed, marveled at the generosity of native people, willing to share anything they had. His bounty consisted of hundreds of slaves. Others “were hunted down with dogs and killed,” said Zinn. “A report of the year 1650 shows none of the original Arawaks or their descendants” remained – all exterminated or enslaved, those surviving the rigorous voyage. Many perished. “Total control led to total cruelty. The Spaniards ‘thought nothing of knifing Indians by tens and twenties and of cutting slices off them to test the sharpness of their blades.’ “ Zinn quoted Bartolome de las Las Casas, a priest participating in the conquest of Cuba. High school and higher education provide some hints of the horrors officials in America tried suppressing throughout the country’s history. This distortion of history tries justifying the unjustifiable. It’s too late to undo what happened. It’s easy to say unspeakable atrocities were a “necessary price to pay for progress,” said Zinn. History is told “from the point of view of governments, conquerors, diplomats (and) leaders.” No one speaks for victims. 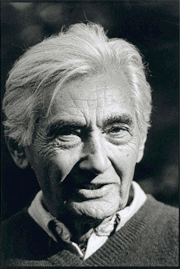 “(W)e must not accept the memory of states as our own,” Zinn stressed. Albert Camus once said thinking people should not be on the side of executioners. Long ago, belligerents had swords, then rifles and cannons. Today nations have vast armies, supersonic warplanes, ICBMs and thermonuclear bombs able to annihilate millions with a single detonation over a large metropolitan area. It took 500 years to slaughter 100 million native people in what’s now the Americas. Today it could be done in days with enough WMD detonations. Humanity has come a long way in honing its killing skills, surviving them given scant attention. Featured image is from WinCalendar.